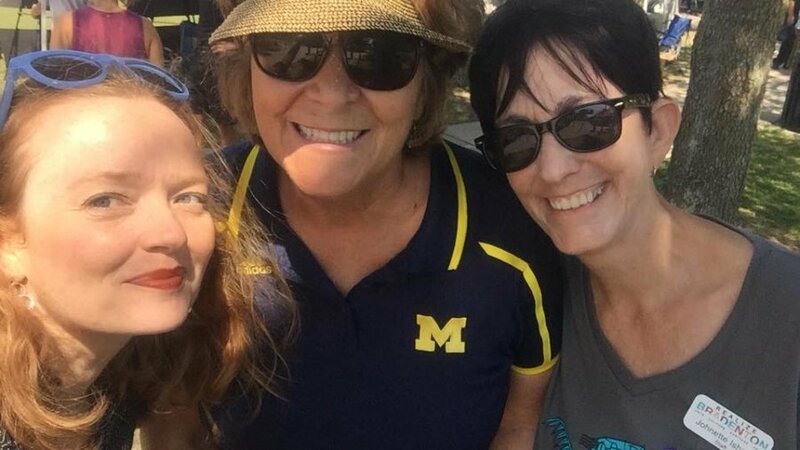 The Shoreline Shindig hosted by START and Realize Bradenton on Saturday, October 13th along the Riverwalk in Bradenton was a very enjoyable event attracting over 300 people like the three well-known visitors shown above. Everyone gathered to celebrate the importance of our shoreline and waterways and hear original acoustic music from local band Passerine. They sampled great sustainable seafood from The Sandbar Restaurant, tasty Mexican food from The Spot and healthy mixtures from Bowl’d Life. Refreshing beverages were provided by Gulf Coast Eagle Distributors. START wants to especially thank our supporting sponsors for the event The Icon Consultant Group, Kimley-Horn, Mirabella Florida and The South Florida Museum. The highlight of the event was an expansive collection of locally based environmental exhibitors who provided hands on demonstrations of the many ways we can all help to preserve our shorelines and coastal waters. In addition to sponsor exhibits, other organizations staffing educational booths included: the Manatee County Parks and Natural Resources Department, The Sarasota Bay Estuary Program, the Sarasota Bay Watch, the Sarasota County NEST program, Around the bend Nature Tours, Keep Manatee Beautiful, Science and Environmental Council, Hands Along the Water, the Reef ball Foundation and Desoto National Memorial. The Shoreline Shindig was also the official launch of START’s new Vertical Oyster Garden (VOG) program that shoreline residents can hang off their docks to help filter the adjacent water column from unwanted nutrients. The VOGS sell for $35 plus tax and will benefit START. Orders can be placed by contacting START Program Manager, Mary Anne Bowie at BowieFAICP@gmail.com and noting VOG sales in the subject line. Pictured above: Left to right: Susie Bowie, Manatee County Community Foundation, Manatee County Commissioner, Betsy Benac and Realize Bradenton’s Johnette Isham.